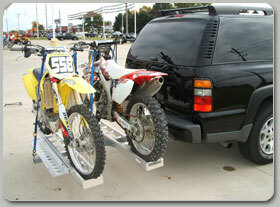 Introducing the B-Dawg® Double, our aluminum motorcycle carrier capable of hauling two dirt-bikes at once! 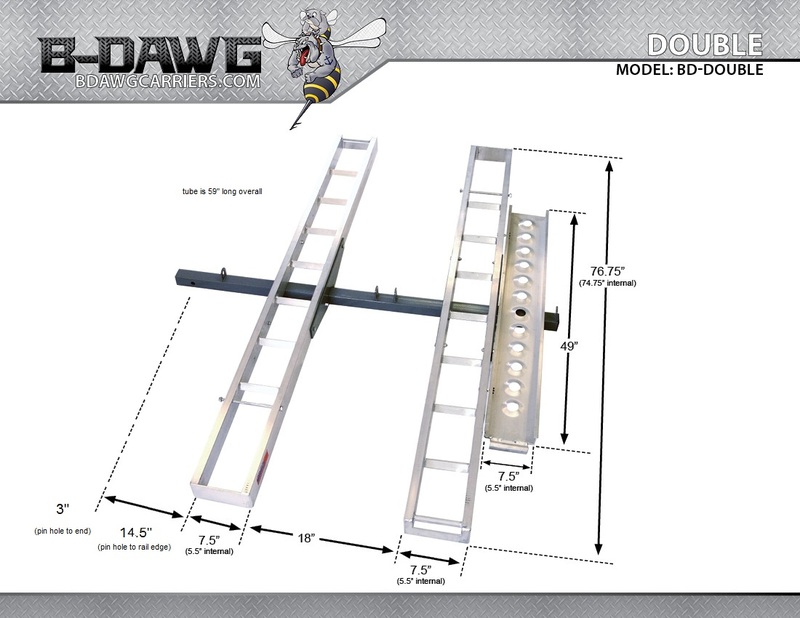 The B-Dawg Double is an excellent lightweight alternative to steel and mounts quickly on any 2" hitch receiver. 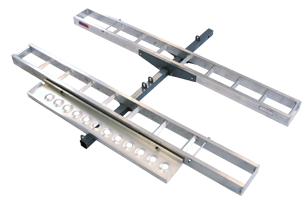 Each rail is 7.5" x 76.75", and the aluminum rungs act as a perfect wheel chock for your sport bike. With the B-Dawg Double, you can haul two bikes with a combined weight of up to 600 lbs.